Crafts are understood to be different things in different cultures. In the Western world, crafts refer to activities involving skill in making things by hand. Some people categorise crafts based on their use, as being either decorative or functional. Others categorise crafts based on the materials used in their creation. Crafts involving the use of wood, metal and clay can be decorative, of practical value or both. 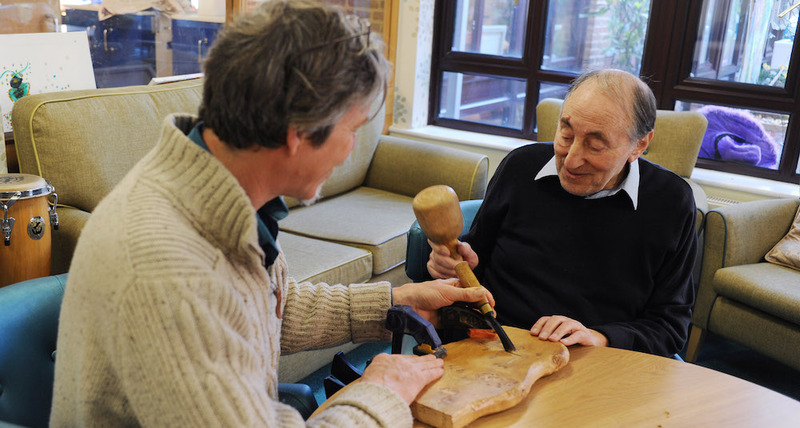 These include woodworking, pottery and jewellery making. Crafts involving the use of textiles can be decorative, functional or both. These include sewing and knitting. Crafts that are created using paper can also be functional and decorative. They include card making and calligraphy. Woodworking is the activity of making things from wood. It includes carpentry, joinery, furniture making and wood carving. Despite the fact that we live in an age of flat packed, assemble at home furniture, the craft of woodworking is still going strong. If you'd like to learn this timeless craft, you can choose between attending a course or learning online. There are woodworking courses available all around the UK, from basic carpentry for beginners to complex furniture making. The Craft Courses website contains listings of different woodworking classes throughout the UK. Check out the Wood section of the Craft Courses website. You can also search the Hotcourses website to find a woodworking class near you. If there isn't a woodworking class near you, or learning online better suits you, we've found some online resources for you to explore. Pottery is the art of making objects out of clay and baking them at a high temperature in a kiln so that they become hard. The types of objects made in this process include vases, pots, bowls and plates. Pottery courses range from introductory classes for absolute beginners to experienced potters. You can search for courses online, if you wish, or check out Craft Courses: Ceramics. You can also search the Hotcourses website to find a pottery class near you. As pottery making requires the use of a kiln, you may be able to learn some aspects of the craft online. However, you will still need to find a kiln to harden your pottery. This process is referred to as "firing". Find out more at About.com: Pottery. There are many different types of jewellery making, from simple beadwork to elaborate metal work. To get started, we recommend you begin with bead work. There are many places that sell jewellery making kits for beginners as well as all of the materials you'll need. To find a jewellery making class near you, have a look at Craft Courses: Jewellery, or do a search on the Internet if that's your preference. You can also search the Hotcourses website. Depending on the type of jewellery making you'd like to do, there are plenty of resources online. You can check out the many different jewellery making videos available on YouTube. There are some great resources at About.com: Jewellery making, as well as the Free Online Courses website's top 10 free online jewellery making courses. You can also check out the Craftsy website. Many people learn how to sew as children, either at school or at home. Whether you know how to sew or you haven't sewn in a while, learning sewing can be both enjoyable and rewarding. Nowadays, most people use sewing machines, with others preferring to sew by hand. Whatever you choose, there are plenty of ways to learn. Have a look at Craft Courses: Sewing to browse their course listings. You can also search the Hotcourses website to find a sewing class near you. There are plenty of online resources that can help you learn how to sew—from personal blogs to online courses and tutorials. Check out About.com: Sewing for plenty of helpful tips, advice and resources. You can also search the Craftsy website to discover if their online sewing course suits you. Knitting, once the domain of bubbies all over the world, is now been enjoyed by people of all ages. You can knit anything from a simple scarf to a cardigan or a dress, with tools and materials easily available in shops and online. If you'd like to take a knitting class, you can search around in Google or check out Craft Courses: Knitting. You can also search the Hotcourses website to find a knitting class near you. To get you started, the Learn to knit section of the Vogue Knitting website has some very helpful resources. You can also have a look at About.com: Knitting for a wealth of useful resources. You can also check out the knitting courses on the Craftsy website. Even in our digital age, we all still like receiving kind and considerate cards on all occasions. So if you want to make those occasions even more special for your friends and family, perhaps card making is for you. If you'd like to find a card making class near you, you can either search Google or check out Craft Courses: Card making. You can also search the Hotcourses website to find a card making class near you. If you'd like to find an online course, you can search the Craftsy website. You can also search in Google for online resources on card making and other paper crafts, or you can explore YouTube for video courses and tutorials. Calligraphy is a written visual art that involves highly designed lettering. It ranges from functional lettering to fine art, where the lettering may not necessarily be readable. Traditionally, calligraphy was done using writing instruments such as a dip pen, brush or broad tip writing instrument. Nowadays, of course, there are opportunities to practice calligraphy digitally. However, many purists do not recognise this as an art. To find a calligraphy class near you, you can search in Google or have a look at Craft Courses: Calligraphy to see what's on offer. You can also search the Hotcourses website. As calligraphy is quite specialised, we haven't heard of many online courses, but there are plenty of blogs and individual websites offering a wealth of tips, advice and resources.